The initial constitution of the Australian and New Zealand Society of Criminology Inc. was confirmed by the Executive of the Society on December 5, 1967 pursuant to a resolution of the inaugural general meeting of the Society. This inaugural meeting had been held on October 24, 1967 at the University of Melbourne and was attended by 47 people. Professor Rick Sarre is Professor of Law and Criminal Justice in the School of Law, University of South Australia. He has degrees from Adelaide University (Law), the University of Toronto (MA Criminology) and the University of Canberra (Doctor of Legal Science). He has been teaching at tertiary institutions for 31 years in addition to four years of legal practice. Formerly the President of the South Australian Institute of Justice Studies, he has been an Associate of the Australian Institute of Criminology since 1998. He also served three years on the Victim Support Service (SA) board, and six years on the Offenders Aid and Rehabilitation Services of SA board. In 1992 he volunteered as an advocate with the Jesuit Refugee Service and Australian Lawyers for Refugees in Hong Kong and Port Hedland, WA. He has held many leadership roles within the university including being a Head of School (six years) and a Dean of Teaching. He has completed four years as the Chair of the Academic Board of the University, and remains a member of University Council. He has published over 140 scholarly articles on legal and justice-related topics. His most recent book (with Tim Prenzler) focuses on the law that applies to the private security industry. His teaching duties have included various aspects of commercial law, criminology, sports law and media law. Rick received an Australian Learning and Teaching Council citation as a nationally recognized tertiary teacher in 2008. In 2010 and again in 2013 he stood unsuccessfully for federal parliament for the Labor Party in the seat of Sturt. He and his wife Debra and their two children live in Beulah Park, Adelaide. They travelled with him for overseas teaching stints in the USA (Graceland University 1997) and Sweden (Umeå University 2004). Russell G Smith has a Doctor of Philosophy from the Faculty of Laws, King’s College, University of London, a Master of Laws, Diploma in Criminology, Bachelor of Arts (Degree with Honours in Psychology), and a Bachelor of Laws all from the University of Melbourne. He practised as a solicitor in Melbourne in the 1980s and is admitted to practise in Victoria, the Federal Courts of Australia and is a non-practising Solicitor of the Supreme Court of England and Wales. He is currently Principal Criminologist and Manager of the Global, Economic and Electronic Crime Program at the Australian Institute of Criminology, having joined the AIC in January 1996 from the University of Melbourne where he was a Lecturer in Criminology. He has had extensive experience in criminal justice research including the publication of 8 authored, co-authored or edited books, 28 reports / monographs and over 120 other publications. He has also given over 270 conference or seminar presentations locally and internationally. Russell’s main research interests relate to financial crime including identity crime and money laundering, technology-enabled crime, professional regulation and history. His principal books are the Handbook of Global Research and Practice in Corruption (Edward Elgar 2011, jointly edited); Cyber Criminals on Trial (Cambridge University Press 2004, jointly authored); Crime in the Professions (Ashgate Publishing 2002, edited); Electronic Theft (Cambridge University Press 2001, jointly authored); In Pursuit of Nursing Excellence (Oxford University Press 1999); Health Care, Crime and Regulatory Control (Hawkins Press 1998, edited); Crime in the Digital Age (Federation Press / Transaction Publishers, 1998, jointly authored) and Medical Discipline (Clarendon Press, Oxford, 1994). In addition to his work for the AIC, Russell chaired the Victoria Police Human Research Ethics Committee (2005-2012), is a Member of the Fraud Advisory Panel in the UK, and is involved in a number of academic editorial boards and committees. He is Honorary State Correspondent of the Selden Society in England and was previously a non-medical practitioner member of the Medical Practitioners Board of Victoria. Between 2002 and 2008 he was Academic Adviser to the Criminology Research Council. He has received numerous awards including the John Barry Medal in Criminology from the University of Melbourne in 1982. He joined ANZSOC in September 1981 and became Public Officer in 2001, Secretary in 2003, First Vice-President in 2005, and President in 2009. Kathleen Daly is Professor of Criminology and Criminal Justice, Griffith University. She received her PhD in sociology from the University of Massachusetts-Amherst (1983), was Visiting Assistant Professor at the State University of New York at Albany (1982-83), Assistant Professor (1983-88) and Associate Professor (1988-92) at Yale University, and Visiting Associate Professor at the University of Michigan-Ann Arbor (1992-95). She came to Australia as a Senior Fulbright Scholar in 1995 at the Australian National University before taking up her current position at Griffith University in 1996. Professor Daly has authored or co-authored two books, four edited collections, five major reports, and over 60 articles in journals, edited collections, and law reviews. She received the Michael J. Hindelang award in 1995 from the American Society of Criminology for her book, Gender, Crime and, Punishment (Yale University Press 1994) and the Distinguished Scholar Award from the Division of Women and Crime, American Society of Criminology (1994). She published an edited collection (with Lisa Maher), Criminology at the Crossroads: Feminist Readings in Crime and Justice (1998) and is editor of Crime and Justice: A Guide to Criminology (2006) (with Andrew Goldsmith and Mark Israel). She has received three Australian Research Council (ARC) grants: restorative justice for young offenders in South Australia (1998-99), race and gender politics of new justice practices (2001-03), and contested politics of the new justice (2004-06). These have supported a program of research on restorative justice and Indigenous justice, comparing developments in Australia with New Zealand and Canada. In 2008, Professor Daly is launching an international project on innovative responses to sexual violence, also funded by the ARC (2008-2011). She was elected a Fellow of the Academy of the Social Sciences in Australia in 2007. Don Weatherburn has been Director of the NSW Bureau of Crime Statistics and Research in Sydney since 1988. Before that he was foundation research director at the NSW Judicial Commission. He has published on a wide range of topics, including public perceptions of crime, child neglect, unemployment and crime, drug law enforcement policy and crime prevention. He has written two books: Delinquent-prone Communities (published with Bronwyn Lind by Cambridge University Press) and Law and Order in Australia: Rhetoric and Reality (published by Federation Press in 2005). Peter Grabosky is a Professor in the Regulatory Institutions Network (REGNET) of the Research School of Social Sciences, at the Australian National University. He was previously Deputy Director and Director of Research of the Australian Institute of Criminology, where he worked from 1983 to 2001. He holds a Ph.D. in Political Science from Northwestern University, and has written extensively on criminal justice and public policy. He has published a number of books and articles including (with John Braithwaite) Of Manners Gentle: Enforcement Strategies of Australian Business Regulatory Agencies (1986); (with Russell Smith) Crime in the Digital Age: Controlling Telecommunications and Cyberspace Illegalities (1998); and (with Russell Smith and Gillian Dempsey) Electronic Theft: Crimes of Acquisition in the Digital Age (2001), Cyber Criminals on Trial (with Russell G. Smith and Gregor Urbas) (2004). 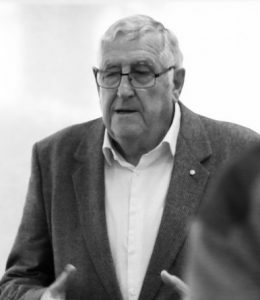 Previous appointments include Russell Sage Fellow in Law and Social Science at Yale Law School (1976-78); Foundation Director of the South Australian Office of Crime Statistics (1978-82); and Director of Research for the (Australian) National Committee on Violence (1988-90). He has held a number of visiting appointments, including The Institute of Comparative Law in Japan, Chuo University (1993); the Australian National University (1993-4); the United Nations Asia and Far East Institute for the Prevention of Crime and the Treatment of Offenders (UNAFEI) (1995; 1998) and the Chinese People’s Public Security University (1996). He was rapporteur for the Workshop on Crimes Related to the Computer Network at the Tenth United Nations Congress on the Prevention of Crime and the Treatment of Offenders, Vienna, 2000. In July of 1998 he was elected President of the Australian and New Zealand Society of Criminology Inc.. In 1999 he was elected to the Board of Directors, and Deputy Secretary General, of the International Society of Criminology. Arie Freiberg was appointed to the Foundation Chair of Criminology at the University of Melbourne in January 1991, Head of the Department of Criminology in January 1992, Associate Dean (Resources) of the Faculty of Arts in 1996 and Deputy Dean in 1999. He is currently Dean of the Law School at Monash University. He graduated from the University of Melbourne with an honours degree in Law and a Diploma in Criminology in 1972 and a Master of Laws degree from Monash University in 1984. He was awarded the degree of Doctor of Laws by the University of Melbourne in 2001. Prior to taking up his appointment at Monash Melbourne he was a Reader in Law at Monash University. He has also held positions with the Australian Institute of Criminology and the Commonwealth Director of Public Prosecutions. Between 1996 and 1998 he was President of the Australian and New Zealand Society of Criminology Inc. His particular areas of expertise are criminal sentencing and confiscation of the proceeds of crime and he has authored major works in both fields. He has served as a consultant to the Victorian, South Australian Western Australian and federal government on sentencing matters. In 2000 he also served as a consultant to the South African Law Commission in its reference on sentencing. He has published over seventy monographs and articles in areas such as sentencing, confiscation of proceeds of crime, tax compliance, corporate crime, juries, juvenile justice, sanctions, victimology, superannuation fraud, trust in criminal justice commercial confidentiality in corrections, dangerous offenders, the role of emotion in criminal justice and drug courts. Joy Wundersitz is the Director of the Office of Crime Statistics. She has an extensive background as a researcher in the criminological field, having worked for many years as a Research Fellow in the Geography Department at the University of Adelaide. She has also held the positions of Senior Researcher in Juvenile Justice within the Department of Family and Community Services, and researcher to the 1993 South Australian Select Committee on Juvenile Justice. Her main area of work has been in the juvenile justice sphere, with particular focus on the differential treatment of Aboriginal young people within the criminal justice system. She has co-authored and co-edited a number of books on juvenile justice. She has also published in national and international journals and has contributed chapters on juvenile justice to criminological text books. Joy is on the Board of Management of the Australian Institute of Criminology, is a member of the Criminology Research Council and participates in a number of national committees involved in the monitoring and evaluation of crime and criminal justice, including the National Criminal Courts Statistics Advisory Committee and the National Crime Statistics Advisory Committee. Christine Alder’s teaching and research interests have mainly been in the areas of juvenile justice and youth offending, and violence. Across her publications is an interest in the situation of women and girls. As well as research and publications both nationally and internationally, her community involvement includes having served as a member of the Youth Parole Board of Victoria and she is a member of school councils and program advisory committees in both youth and adult prisons, and of advisory committees to government ministers regarding the development of youth policy, and the monitoring of the implementation of new programs. She is also the Chairperson of a women’s theatre group – Somebody’s Daughter Theatre. Dr Alder has also served a term as editor of the Australian and New Zealand Journal of Criminology. Dr Alder retired from the University of Melbourne in 2004. Dr Christine Alder has made a leading contribution to the development of Australian and New Zealand criminology through her pioneering research on gender, crime and justice, drawing international recognition to Australian criminological research in the 1980s and 1990s, her collaboration with practitioners in criminal justice reform and through her work in mentoring future generations of criminologists. The Christine M Alder Book Prize is awarded biennially for an outstanding monograph or book which, in the opinion of the judges, has made a valuable and outstanding contribution to criminology. For more information on this award click here. Kenneth Polk joined the Criminology Department at the University of Melbourne in 1985. He was Professor of Sociology at the University of Oregon before coming to Melbourne. A major focus of recent research has been on violence and homicide, but he also has examined issues of crime prevention, juvenile justice and white collar crime. Professor Polk retired from the University of Melbourne in 2004. Professor Richard Harding was appointed as the inaugural Inspector of Custodial Services as from 1st August 2000. This is an independent office which reports directly to Parliament. He was the founding Director of the Crime Research Centre. He continues to play an active role in the Centre’s teaching and research activities. Between 1984 and 1987 Professor Harding was Director of the Australian Institute of Criminology. His research interests include the use of weapons in crime, gun control, corporate crime and the privatisation of corrections. His most recent book is Private Prisons and Public Accountability (Open University Press, 1997). Professor Harding has also had a long-standing involvement in international organisations, including United Nations bodies and the Asian and Pacific Conference of Correctional Administrators (APCCA). In 2013, ANZSOC awarded Professor Harding the Distinguished Criminology Award for outstanding significant and sustained contribution to Australian or New Zealand criminology. For more information on this award click here. He also worked as an Education Officer in four different prisons in Victoria for a period of 11 years. Chair of the ACT Police Consultative Board. Born in England on 18 December 1932, Passed away on 16 April 2017, Aged 84. For more information and to read recent articles written by David Biles click here. Author of numerous journal articles. Born 23 October 1925, died 19 June 2004. As the foundation editor of the Australian and New Zealand Journal of Criminology, ANZSOC with the support of Sage publications awards the authors of the best article for each volume of the journal, the Allan Austin Bartholomew Award. For more information view our awards page. Stanley Johnston’s interests include United Nations law enforcement; human rights; sentencing and victimology. He has studied UN agencies extensively in the field, worked at UNESCO Paris, and been an adviser to the Australian Mission to the UN in New York. He is also the founding patron of the Australian Institute of Computer Ethics (AICE). Born August 16, 1902 and died June 16, 1985. Sir George Paton attended Scotch College in Melbourne and graduated from the University of Melbourne and Magdalen College, Oxford from 1926 to 1929. In the following year he became a barrister-at-Law and lectured in Law at the London School of Economics. He was Professor of Jurisprudence at the University of Melbourne from 1931 to 1951 when he was appointed Vice-Chancellor. He retired as Vice-Chancellor in 1968 and died in 1985. John Vincent Barry, eldest of the four children of William and Jeanette Barry, was born in Albury, New South Wales on June 13, 1903. After completing his primary education at a convent school in Albury, Barry won a scholarship to St. Patrick’s College, Goulburn, for the years 1917 to 1920. In 1921 he went to Melbourne to become articled to the legal firm, Luke Murphy and Company, and was admitted as a. barrister and solicitor to the Supreme Court in 1926. Barry rapidly built up a wide and successful practice as a barrister, being an able and persuasive advocate before criminal and civil juries. In 1942 he became a King’s Counsel. On several occasions during World War II Barry was engaged by the Governments of John Curtin and J. B. Chifley to conduct or assist commissions of inquiry, notably that which investigated the circumstances under which the civil administration of Papua was superseded by the military in 1942. During his years at the Bar, Barry was active in many causes and held executive office in several organisations. He was greatly affected by the hanging of Angus Murray, whom he had represented in 1924, and wrote and spoke on many occasions throughout his life in favour of the abolition of capital punishment. A foundation member and Vice-President of the Australian Council for Civil Liberties, he was its President from 1944 until 1947. Barry joined the Australian Labor Party in 1939, contested the seat of Balaclava in 1943, and served as a member of the Victorian Central Executive of the Party in the period from 1945 until 1947. An executive member of the Australian Journalists’ Association, he was also President in 1948-49 of the Medico-Legal Society of Victoria. In 1967 he was elected Foundation President of the Australian and New Zealand Society of Criminology Inc.
Barry’s outstanding career at the Bar culminated in his appointment as a Judge of the Supreme Court of Victoria in 1947. In 1951 he became the first Chairman of the University of Melbourne’s Department of Criminology, and was appointed Chairman of the Parole Board of Victoria when it was created in 1957. 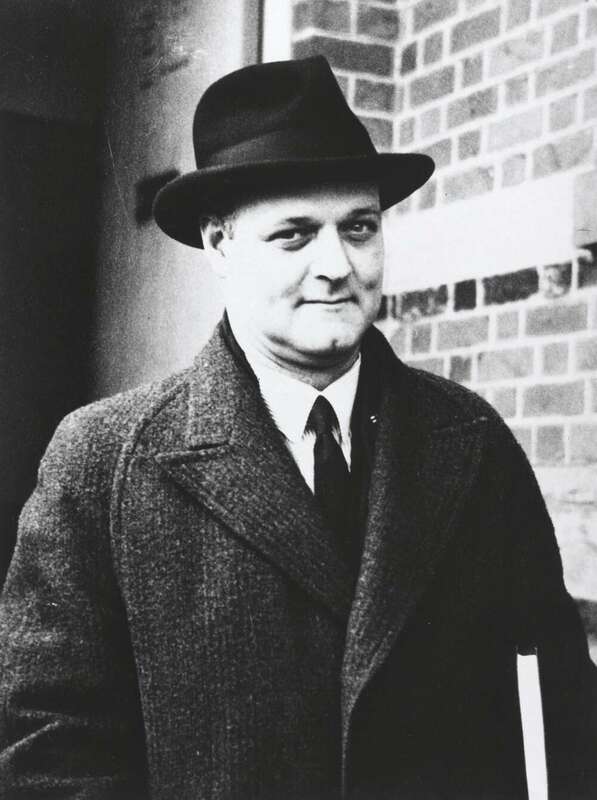 Barry had a deep and lasting interest in criminology and penology and during this period he was many times called upon by the Government of Victoria for advice in the preparation of the Penal Reform Act (1956), the Social Reform Act (1960) and as chairman of the committee to report on juvenile delinquency in 1956. The Commonwealth Government sought his advice in the preparation of the Matrimonial Causes Rules in 1960, and as a Judge in Divorce, it was his responsibility to interpret and apply the Matrimonial Causes Act (1959) which, from 1961, replaced the State legislation. In 1955 the Carnegie Foundation awarded Barry a fellowship to investigate developments in criminology and penology in the United States of America and Europe. Later that year he attended the First United Nations Congress on the Prevention of Crime and the Treatment of Offenders in Geneva, and the Third International Congress on Criminology in London. 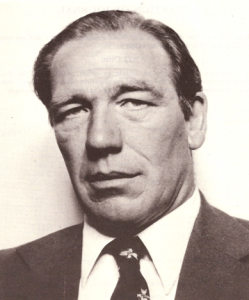 In 1960 he travelled to London again, to lead the Australian delegation at the Second UN Congress on the Prevention of Crime and the Treatment of Offenders and the Fourth International Congress on Criminology in The Hague. He spent two months in 1964 in Japan as a visiting expert at the UN Institute for the Prevention of Crime and Treatment of Offenders (UNAFEI), Fuchu, Tokyo. Barry, who was a prolific reader as well as a writer, was much sought after as a guest speaker during his years at the Bar. 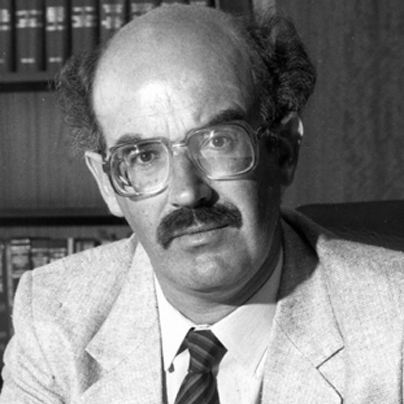 Many of his addresses were subsequently published in journals such as Meanjin and the Australian Law Journal. His principal published works were Alexander Maconochie of Norfolk Island (O.U.P.1958) for which he was awarded the Degree of Doctor of Laws (University of Melbourne) in 1969, The Life and Death of John Price (M.U.P. 1964) which won him a share in the Harbison Higinbotham Scholarship; and An Introduction to Criminal Law in Australia (Macmillan 1948), which was written in collaboration with George Paton and Geoffrey Sawer. He was a contributor to the Australian Dictionary of Biography, a reader for Melbourne University, and a book reviewer. From 1955 until 1966 Barry was a council member of the Royal Historical Society of Victoria, and in 1968 was elected a Fellow of the Society. Barry was created a Knight Bachelor in 1961. In 1930 he married Ethel May Pryor of Sydney who died in 1943. There were two children, Joan, Mrs David Hardy, and John Edward. In 1951 he married Nancy Lorraine Hudson of Auckland N.Z. and they had a daughter Susan Jane. Barry died in Melbourne on November 8, 1969. Hetherington, A. Uncommon Men. Melbourne, Cheshire, 1965. Morris, Norval and Perlman, Mark, ed. Law and Crime: essays in honour of Sir John Barry. New York, Gordon and Breach, 1972. Ryan, Peter. “Sir John Barry”. Historical Studies, v.14, April 1970: 329-31. It is with deep regret that we record the death of our Foundation President, the Hon. Sir John Barry on the November 8, 1969. His death, after a fairly short terminal illness, took place within two weeks of the first Biennial General Meeting of the Society. Sir John Barry was no narrow jurist; his interests were wide and diverse as was noted in a recent Editorial recording his award of the degree of Doctor of Laws of the University of Melbourne. His background was a traditional Catholic schooling which led to Melbourne University which also led to admission to the Bar. During his time at the Bar he stood as a Labor Party candidate for Federal Parliament. He was appointed King’s Counsel in 1941. Before his appointment as a Supreme Court Judge he was a Royal Commissioner in relation to a number of national issues. In 1946 he was appointed Judge of the Supreme Court of Victoria. In this appointment he spent much of his time in the Divorce Jurisdiction which permitted him to indulge his interest in criminological matters and in particular to accept the Chairmanships of the Parole Board and- of the Board of Studies of Criminology at Melbourne University. This recitation of biographical data cannot do justice to Sir John, the man, as opposed to Sir John, the public figure. Sir John, the man, was a person of imagination and erudition who had the priceless capacity of communication, in both the written and spoken word. He was a person who was able to relate to those of all ranks in all walks of life. And he was an individual who had his own standards and values by which he lived. Apart from his utterances as a Royal Commissioner and a Judge of the Supreme Court, he should be considered as one of the outstanding Australian criminologists of international stature. At overseas conferences, should he not be attending, delegates from many different countries would ask after “Judge Barry” or “John Barry”. To us, his death represents the end of an era, but we feel happy and privileged to have known him. In expressing our feelings of loss of a colleague and leader of our Society, we would also wish to express our sympathy to his widow and children.